Update** I married Ricky Hicks on December 11, 2015. I have my own business - reupholstering boats, furniture and vintage cars and repurposing furniture. I stay very busy with my new husband. We love the mountains and I am now restoring a 1976 Golden Falcon Camper. We love car shows and have a 1967 Camaro. It's street legal, but could easily be a dragster with a little nitrous. We live in Commerce Georgia (close to the racetrack). I graduated and started a career and family. I'm an accountant. I have two beautiful daughters. Jenn graduated UGA and is in the film industry in Venice Beach, CA. Amber is a Dental Asst in Greenville SC where she lives with her husband, Phillip and two boys Christopher and Little Phillip. 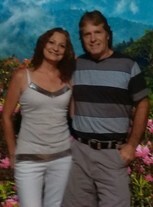 I've been divorced about 10 years and am enjoying life's adventures but still empty nesting somewhat. I lived in Porterdale at the lofts until Nov 08 when I moved back to the city to be closer to work. It was fun for a minute, but I missed my friends. I had opportunity to visit Managua, Nicaragua on a mission trip and was absolutely amazed that it was exactly the same as when we watched TV back in 1979 durring the civil war. Down to the bulletholes still in statues and government buildings left in ruins in the heart of the city. I work for a great company and am blessed with the best coworkers. I live in Piedmont, SC. Visit with me on Facebook Debbie A. Bolz. My favorite memory is when Lisa, Becky, Susan and I got Lisa's Honda stuck in the mud on a dirt road in Marietta. We tried to get it out and had to hose off at the carwash after Lisa covered us in mud from the wheels spinning. We came back to Covington and quietly sneaking down the hall, Lisa started yelling "Daddy it's us!" I had no idea she heard the bedside table drawer and Billy was going for his gun! OMG! There were so many like that.... Denise, April, Lisa, who else went on which time to the beach? remember PC and the rides to and from the beach! Getting there was half the fun! Too many stories to tell!!!!!!!!!!!!!!! I also very much enjoyed visiting with NASA Astronaut Jim Irwin when he came to speak at Newton High at an assembly and stayed with Lisa's parents. He was one of the most interesting people I have ever had a conversation with. Deborah Bolz Hicks has a birthday today. 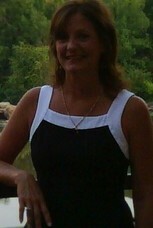 Deborah Bolz Hicks updated her profile. View. Deborah Bolz Hicks changed her "Then" picture. Deborah Bolz Hicks changed her "Now" picture. OMG David just gave me a wet willie! Christopher, my oldest grandson. Lost his two top teeth this month.